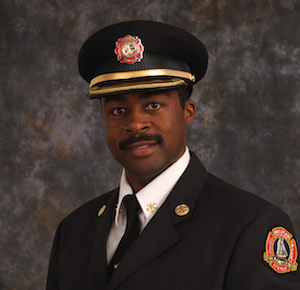 Corey Beals started volunteering as a firefighter in 1992, while he was still an undergraduate. “I fell in love with the work that firefighters do, with the opportunity to give back to the community, to help others in need,” he says. Deciding to turn that first love into a career, Beals progressed through the ranks to the position of District Chief of Halifax Regional Fire and Emergency where he currently manages fire operations in the communities of Dartmouth, Eastern Passage, Sackville and Cole Harbour. While he already provides leadership to over 80 firefighters, Beals has the ambition to go even further. “My plan for the future is to be promoted to Deputy Chief and then ending my career at the top,” says Beals. To give his plan a boost and solidify his understanding of government and management, Beals wanted to further his education. His deputy chief suggested the Master of Public Administration (Management) at Dalhousie’s Centre for Executive and Graduate Education. “When I looked at the scope of the MPA (M), it suited my current position as well as future succession perfectly. It was a no-brainer,” says Beals. Starting the program solidified his first impression. “The program is so relevant to what I'm doing now as a manager. Every course gave me a more in-depth view of how government works, of the roles and responsibilities of a manager,” he says. Yet another bonus was the opportunity to connect his class assignments directly with work, for instance in his course on municipal government. “It was great. We were going through an operational review at the same time as this course was going on. It enabled me to attend Council meetings to get that live injection of how a municipal council operates. It became a practical application as opposed to just submitting an assignment for a grade,” he says. Beals, who completed the program in four years, adds that he valued the online learning that helped him balance his busy job with spending time with his wife and daughter. At the same time, meeting classmates in person was a program highlight. “The joy of this program is that at the end of every course we get to go to our intensive. And because of that you start developing relationships. I got a valuable network of fellow MPA students to consult with,” he says. He adds that having diverse classmates from many sectors including various levels of government, non-governmental organizations and the private sector was also helpful. “You have a deep, rich mixture of students from every discipline, cultural, ethnicity, gender and age mix, and you also have a good mix in terms of geography,” he says. Now that he’s earned his degree, Beals is in the process of applying for his next promotion with confidence. “I can't say enough about the MPA (M) program. It gives you the foundation to expand your horizons,” he says.